November 13, 2017 October 17, 2017 / Julie Brook, Esq. Pets play an important part in the lives of many people, and pet owners often want to arrange for the financial support and care of their animals after the owner dies. To make this happen, the best option is usually to include specific provisions in a trust. Provides a way to manage assets for the animals’ benefit. A gift to a trust for the benefit of one or more pets can provide a flexible way to manage financial assets for the benefit of the pets that survive the settlor until the last surviving animal dies. At that time, any remaining financial assets in the trust for pets can be distributed as directed in the trust document. Prob C §15212(b)(2). May provide care instructions. 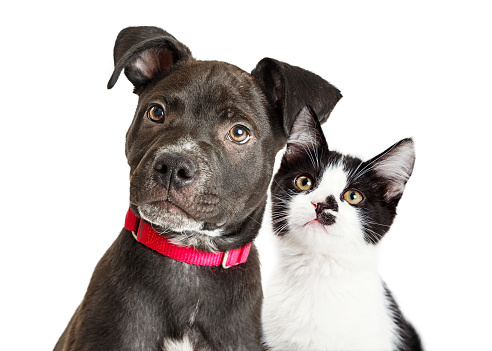 Trust provisions can include very specific instructions for the care of the pet. Provides instructions on selecting and compensating caretakers. A trust allows the settlor to nominate a trustworthy and suitable caretaker (and alternates) or instruct the trustee on the trustee’s responsibility for finding suitable caretakers and homes for the pets. A trust gives the ability to designate the amount of compensation for caretakers. Provides instructions on payments and for enforcement. The settlor can instruct the trustee to pay for all expenses related to the proper care of the pets and direct the trustee to visit the pets periodically. A person designated in the trust instrument or, if none is designated, a person appointed by the court, can enforce the intended use of the principal or income. Prob C §15212(c). Provides for final expenses. A pet trust agreement should provide for the payment of all final medical and disposition expenses and can include any special instructions the client may have on the arrangements after each pet’s death. May provide for care during client’s incapacity. In contrast to using a will to fund a testamentary pet trust, a trust can include provisions for the care of pets during the client’s lifetime while the client can’t care for them, e.g., due to incapacity. Keep in mind that establishing any pet trust requires a leap of faith. The settlor hopes that the trustee will carry out the trust as instructed and will spend trust funds in ways beneficial to the intended beneficiaries of the trust, i.e., the pets. But despite the reassuring enforcement language in Prob C §15212, remind your clients that there is always a risk that the trust funds will be misappropriated. Designating a trust protector in the trust document may add another layer of protection, but court enforcement may not be available quickly enough or there may be no interested person with enough assets to petition the court for enforcement. For guidance on drafting pet trust provisions (including sample language), as well as a discussion of alternatives to using a trust, turn to new chapter 6A in CEB’s Complete Plans for Small and Mid-Size Estates. To learn how to draft a trust document generally, check out CEB’s Drafting California Revocable Trusts. And if you’re fresh to the estate planning field, consider taking CEB’s new online course Practice Skills │ Estate Planning to get the detailed guidance and instruction you need to confidently draft a trust document.